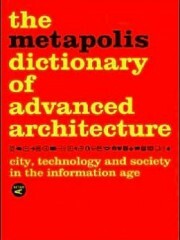 In the format of a selective dictionary of cross-referenced terms, Metapolis identifies a new architectural will within the contemporary social and cultural panorama. It contributes to a global vision of the emerging new architectural action that participates in “advanced culture” and visual art disciplines and technology. 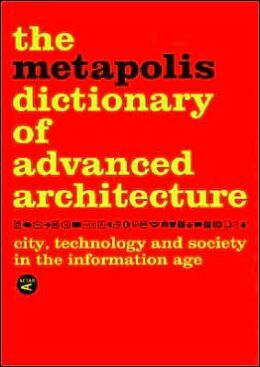 The book speaks of an architecture inscribed in the information society and influenced by the new technologies, the new economy, environmental concerns and individual interests. The diversity of authors and works is invaluable for the generational intersections in theory discourse. Featuring Manuel Gausa, Vicente Guallart, Willy Müller, Federico Soriano, José Morales, Fernando Porras, Iñaki Ábalos y Juan Herreros, José Alfonso Ballesteros, Xavier Costa, Enric Ruiz-Geli, Alejandro Zaera Polo. Size: 16 x 23 cm.